A few days a ago a friend popped over for some dinner, as we had a surplus of homegrown courgettes it made sense to make the most of them. 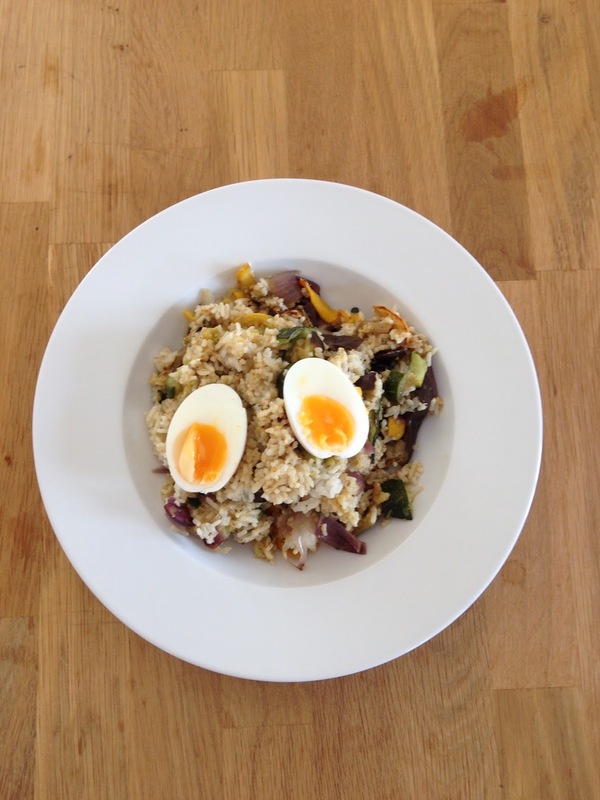 I made this vegetable kedgeree, using our courgettes, some onions and an aubergine! Great way to use courgettes and very tasty – this will now be on my ‘what to do with too many courgettes’ list for future years.